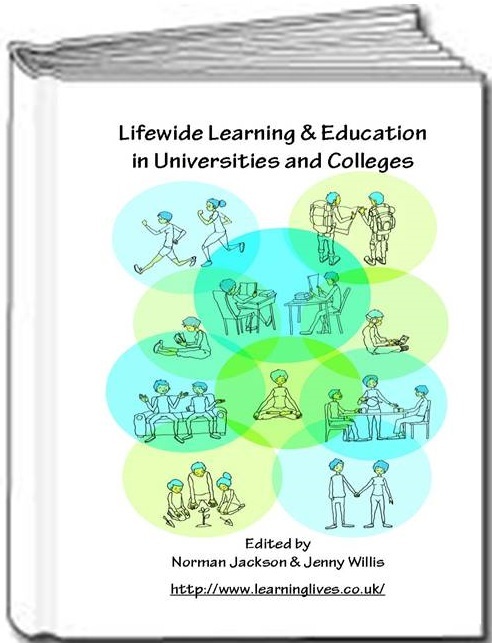 The purpose of the e-book is to recognise and celebrate the many different ways in which universities are encouraging, supporting and recognising lifewide learning and personal development. The book will enable people who are involved in leading, managing, supporting and researching student development through co- or extra-curricular skill-based awards, credit bearing modules or other schemes and activities to gain an overview of practices in this important emergent educational field. The book will be updated every 3 months. If you would like to contribute a 3000 to 6000 word account of how your university or college is encouraging, supporting and recognising lifewide learning and personal development please complete the proposal form and send it to the commissioning editor Professor Norman Jackson lifewider1@btinternet.com. Lifewide Learning & Education in Universities and Colleges by the Lifewide Education Community is licensed under a Creative Commons Attribution-NonCommercial-ShareAlike 4.0 International License. 'Lifewide Curriculum': An experiential workshop with students to introduce transformational learning. Look both ways: exploration into the impact of student feedback on the development of the Birmingham Skills Award.